Optimise your returns with best-value SAP Business Objects Enterprise licences. Boost your solution with partner advice, fast implementation, and optional services. We sell cost-effective licences for SAP Business Objects Enterprise standard, professional, and premium. Influential Software offers flexible licence options for SAP Business Objects Enterprise licences, from standard through professional to premium editions. This includes SAP Business Objects BI Platform with SAP Business Objects Mobile BI, Live Office, BI Launchpad, Central Management Console, Universe Designer, and Information Design tool, as well as SAP Business Objects Web Intelligence and SAP Crystal Reports. On top of the above, this edition includes SAP Lumira, SAP Analysis, SAP Business Objects Explorer, SAP Business Objects Dashboards, SAP IQ, SAP Data Integrator, and SAP PowerDesigner. On top of all the above, this edition includes SAP Predictive Analytics and SAP VORA standard edition. 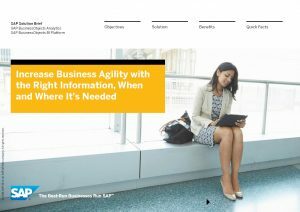 SAP Business Objects Enterprise is a flexible, scalable platform that helps enterprises discover and share insights that drive better business decisions. As a long-term SAP Gold Partner, Influential Software offers the most cost-effective range of SAP Business Objects Enterprise licences. The pricing of SAP Business Objects Enterprise licences depends on the size of your business, the tools required, and the specifications of the CPU and roles required. For more details of our SAP Business Objects services, why not visit our consulting website?